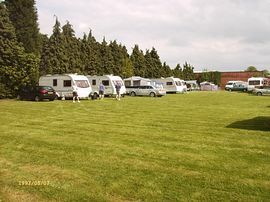 Kings Mills Caravan Park offers a quieter, more relaxing stay. 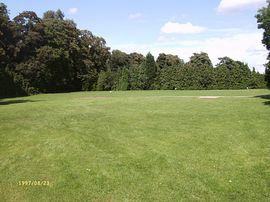 Set in a 4 acre site in a rural setting close to woodlands and the River Trent. The village of Castle Donington is nearby offering a range of shops including supermarkets, pubs and restaurants. 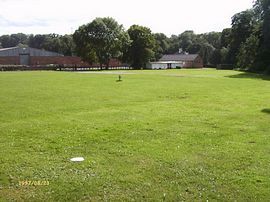 This is a well established caravan/camping park and offers great value for money. 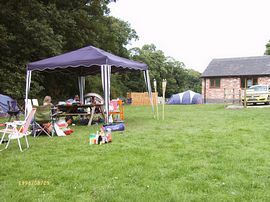 Onsite facilities - 25 Tourers/Motorhomes, 70 Tents (7 hard standing), 25 Hookups. Toilet block with 4 showers plus vanity area in the ladies with sockets for hairdrying/straightner appliances. There is a chemical disposal point, utility room with dish washing facilities, free use of fridge/freezer. Suitable for disabled persons with some mobility. Other facilities include a games room with pool table, table football and video game. There is also a recreation room with sofa's and television. Pets are allowed on leads. 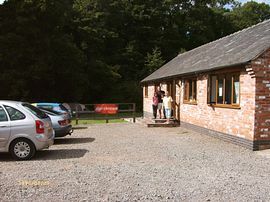 Nearby attractions - Woodland walk & River walk, food shop 1.5m, gas 50 yards, restaurants 1.5m, indoor heated pool and leisure centre 5m, outdoor heated pool 8m, golf course 3m, Donington Race Track & Formula 1 Racing Museum 2m, Donington Market - the largest Sunday market in the Midlands is 2 miles away. Follow M1 North and exit at Junction 23a, follow signs for Castle Donington, go past East Midlands Airport on right. Turn right at traffic lights, go past Donington Track on the left, follow road to traffic lights, turn left onto Park Lane. We are at the end of Park Lane on the right - see signs. Follow M1 South, exit M1 at junction 24a onto the A50 Westbound. Take the first exit from the A50 and follow signs to Castle Donington turning right at the traffic lights onto Park Lane, we are on the right at the end of Park Lane.